Yes, I am for the Fitfam gang but a lot of times in my life, desserts have proven to be a form of therapy for stressful times. And I am quite sure the universe agrees with me, whyelse would DESSERTS be STRESSED spelt backwards? 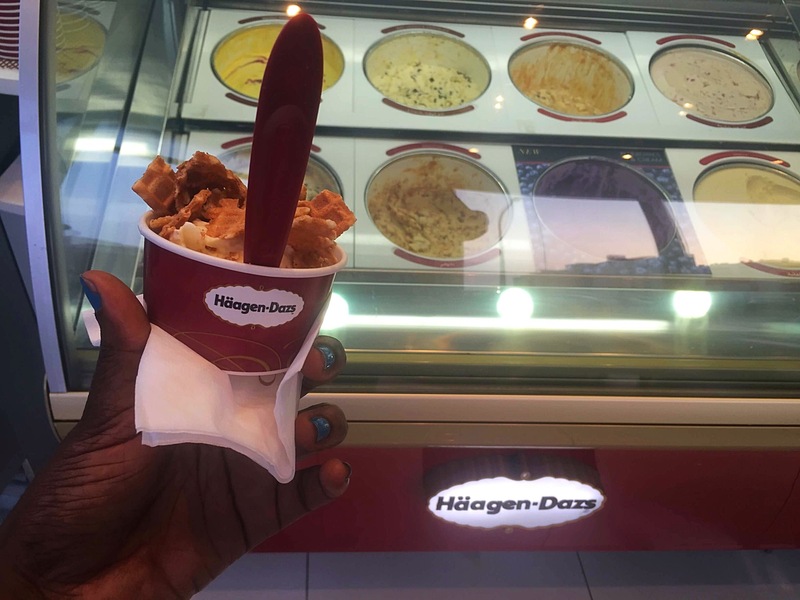 All week, I have been itching for a time to share some of those moments when frozen delights gave me life…. 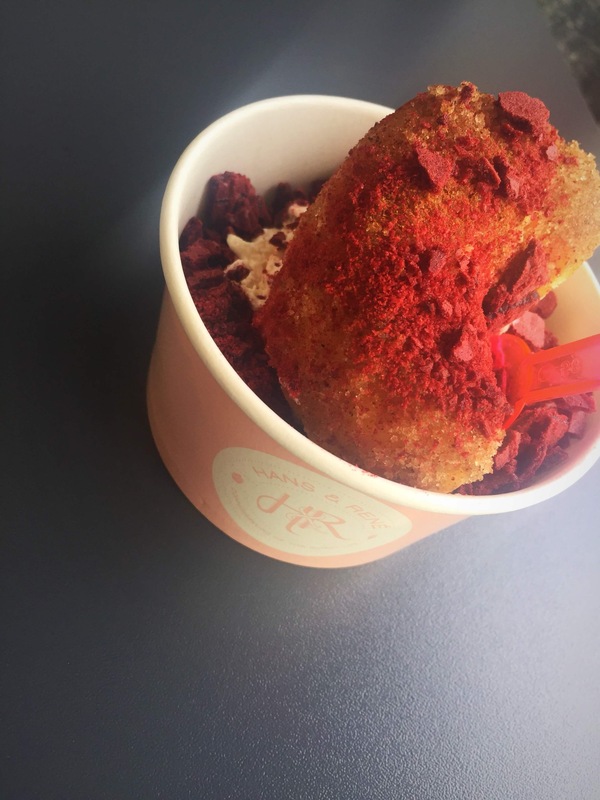 This was really special…came alongside a cinamon sugar donut and a waffle of my choice, I picked red velvet and had it crushed and sprinkled all over my double special cup of frozen delight. By the time I was done with this, Lagos sun couldn’t stand me! My friend Steph & I had just finished hunting for abayas in Deira market (struggle) and my other friend Gideon came to get us, he must have seen the tiredness in our faces because he drove us straight to heaven…. Because I had eaten a lot of junk on this trip, I felt I had to go easy….a small cup, I also knew my palate was in no mood to be overwhelmed hence a subtle flavor…vanilla & my all time favorite topping…waffles! I appreciated the saying ‘less is more’ one more time when I was done with this cup of frozen delight…. I feel like having one and I trust your special touch can make it for me. 👍👍 girl.